After months of anxious waiting and hoping, Infinix Mobility has finally released the Android 7.0 Nougat update for the Infinix Hot 4 Pro smartphone. The Infinix Hot 4 Pro Android 7.0 Nougat update is coming months after the company promised to release the update, even though the other smartphones that were promised the update in the list released by Infinix earlier in June have received the update. The Hot 4, the standard variant of the Infinix Hot 4 Pro has received an update to Android 7.0 Nougat, same as the Infinix Zero 4 & Zero 4 Plus, Note 3 & Note 3 Pro, and the Hot S, the other smartphones in the series. Only the Hot 4 Pro failed to get any updates, and I thought all hope was lost until a friend who uses the smartphone contacted me this morning saying that his device had received the update. 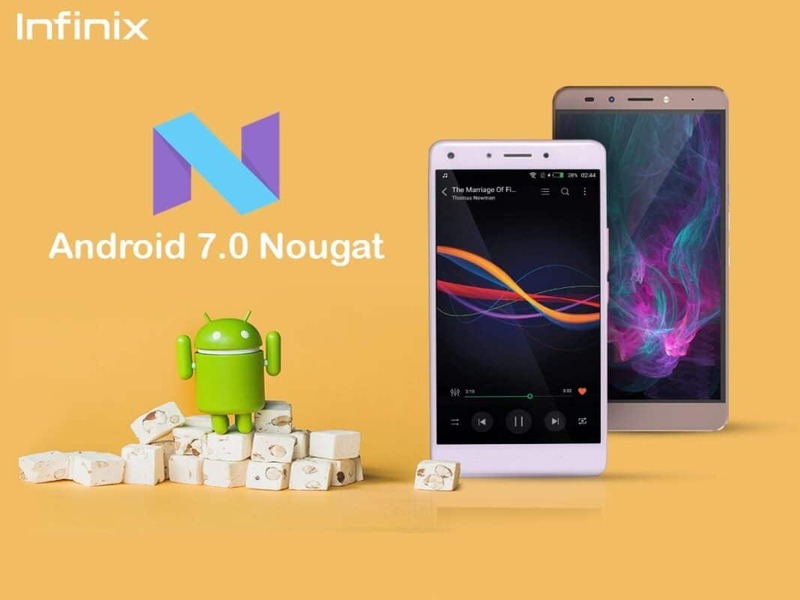 In this article, I’ll show you how to download and install the Infinix Hot 4 Pro Android 7.0 Nougat update on your smartphone easily via Over-the-Air (OTA) upgrade. Updating to the Android 7.0 Nougat OS is done over the air (OTA) and you simply need to go through the Software Update Settings on your Hot 4 Pro. You might just want to stay connected to a Wi-fi connection throughout the download process but if you rather trust network operators, then, good for you!! Either way you choose to update, make sure you charge your battery to at least 90% before you start the update, and undo any serious tweaks you’ve done to the phone. Also, back up your data to avoid stories that touch. Fixed the display issue of Myanmar language in the system. Fixed the internally known issues. Fixed the translation issue of multi languages. Fixed the issue that occurs after OTA upgrades. Fixed the issue where the horizontal screen was not allowed in the startup guide interface. Optimised the game experience of Mobile Legends. Optimised the issue where the Flashlight was touched inadvertently. Updated the TouchPal keyboard input and language support package. Split-screen mode: Use two different applications simultaneously side-by-side on your smartphone screen. New shortcuts and toggles for notification bar. Optimised system stability and performance while fixing other issues. With this update, the Hot 4 Pro joins the Hot 4, Zero 4, Zero 4 Plus, Note 3, Note 3 Pro, Hot S, S2 and S2 Pro on the list of Infinix smartphones that now run on Android 7.0 Nougat, and completes Infinix Mobility’s Nougat promise list. I am using hot 4 pro and i hae done the update to 7.0. The phone is malfunctioning as i cant log into my skype and outlook account.